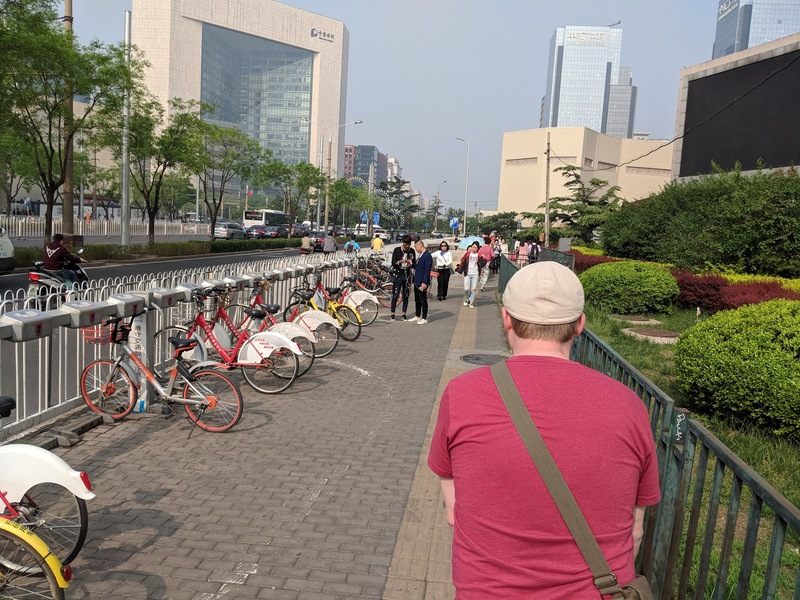 Today is our first full day in Bejiing. 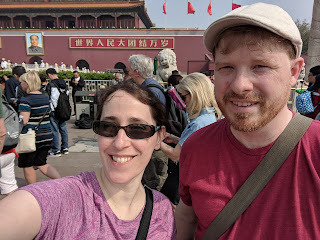 We're not fully adjusted to the time change, but we headed out early morning anyway to the Forbidden City. 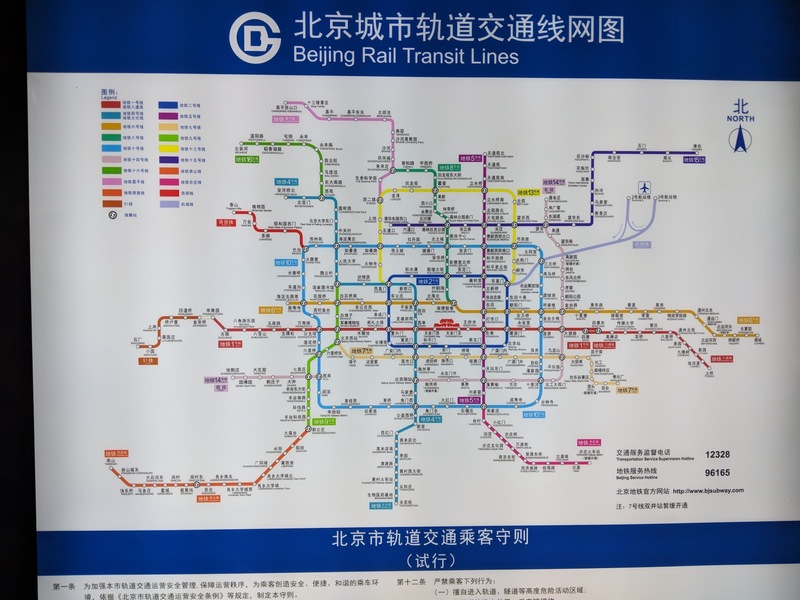 Beijing's subway is amazing. And cheap. It was super easy to get around. It really helped that everything was also in English and color-coded. 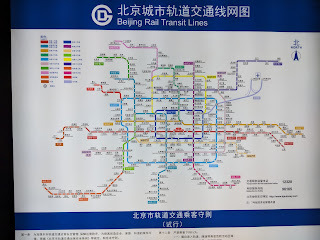 I really wish we were more serious about public transit in the states. 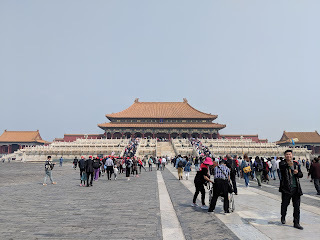 We were originally going to check out Tienanmen Square, but after seeing the line for the Forbidden City, we opted to just do that. Purchasing our tickets was a little confusing (there is a special window for non-Chinese nationals), but once that was out of the way we were in the city. It's so much larger than photos really do it justice. There were so many side areas that we didn't even explore. 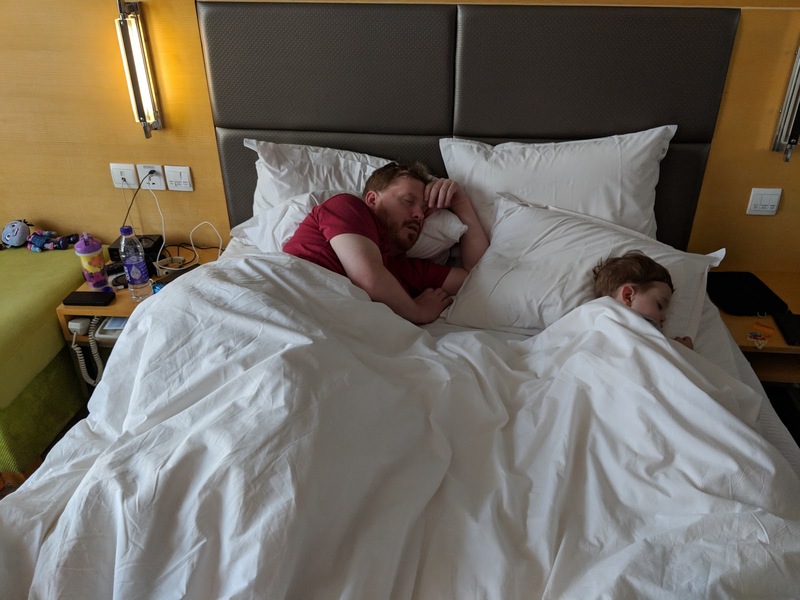 After we were done we headed to our hotel room to take a quick break. That turned into a long nap for Chris and sleeping nearly 12 hours for Quinn. All rest that was needed!